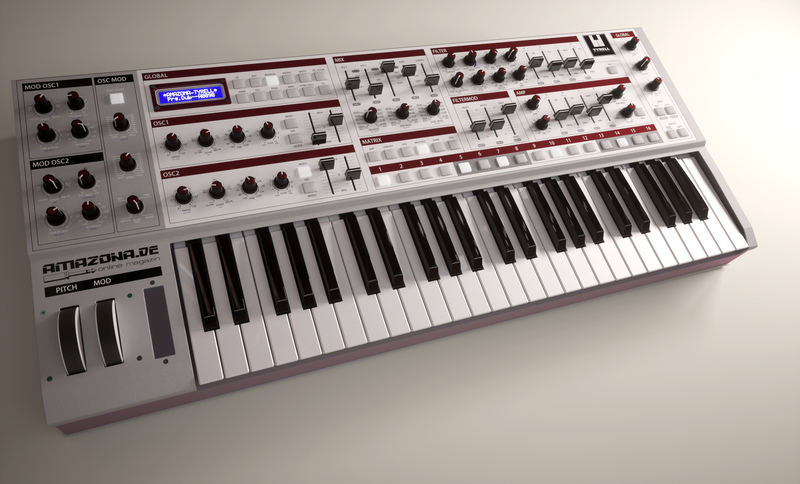 Tyrell synth: is it hardware, software or both? The latest Tyrell render... but will it ever exist? Tyrell is a unique synth project in that even those behind it don't know exactly where it will lead them. The brainchild of online magazine Amazona.de, we're told that a software version is definitely on the cards and that a hardware edition (which may or may not look like the rather tasty render above) will "hopefully" appear after that. The good news is that the software side of things is being handled by Urs Heckman, the man behind the excellent Zebra and ACE synths. The story goes that Urs was already working on a project called DIVA, one part of which was developing a module based on Roland's Juno-60. 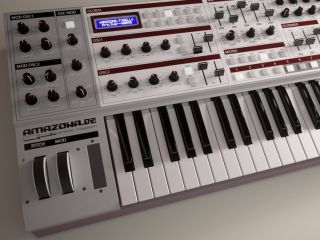 Now this work - and ideas that have come from an Amazona.de reader survey - will be used in Tyrell N6, a new plug-in synth. What's more, three companies from China and Europe have apparently expressed an interest in building the hardware Tyrell, so that render might one day become a real. Let's hope so.